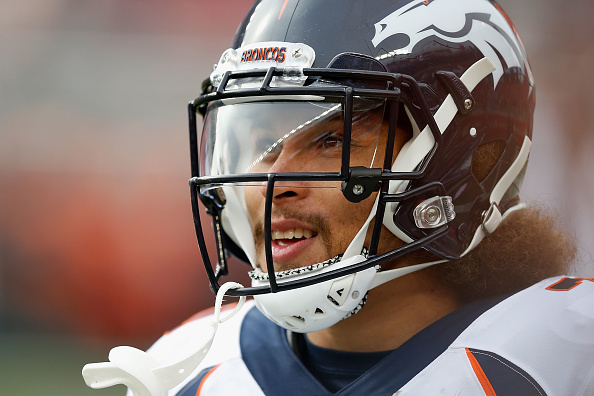 Back in December, Phillip Lindsay became the first undrafted offensive rookie to make the Pro Bowl, but because of an obscure rule in the league, he would have to cover his own way because the league will only cover travel expenses for players who are actually playing. The collective bargaining agreement also prohibited the Broncos from paying for Lindsay, so Broncos fans got together and created a GoFundMe to help pay his way to get to Orlando. Well, just recently, Lindsay saw something on TV that moved him to take action. The Broncos RB saw military veteran Les Thomas fighting Stage 5 chronic kidney disease and also being evicted by his landlord for missing his rent payments because he was in the hospital getting treatment. The GoFundMe has since raised a little over $19k so far, and the GoFundMe that Broncos fans made was also turned over to Lindsay to give to the vet. Originally created as a means of thanking Phil for the record setting season and to help offset his pro bowl costs (NFL picked them up). All proceeds are being donated under Phil’s name to help a local air force vet fighting Stage 5 Chronic Kidney Disease all while being evicted by his landlord for missing rent payments while in the hospital. This is something near and dear to Phil’s heart and is where he wants the money to go. I want to thank everyone who donated for being such dope fans.